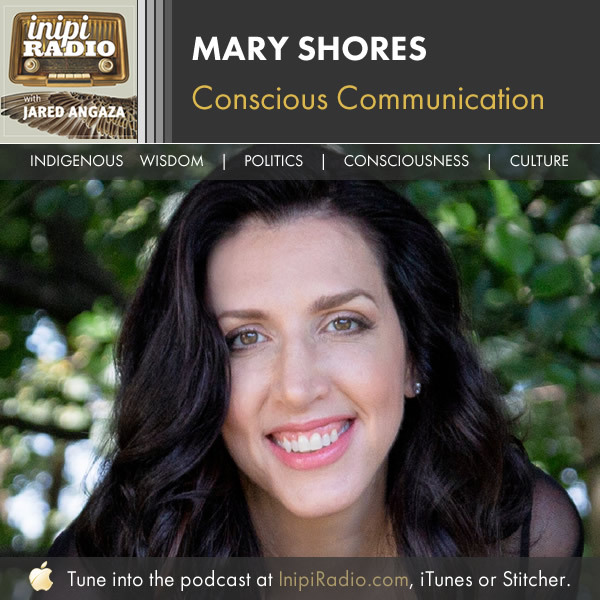 Mary Shores is the author of Conscious Communications: A Step-by-Step Guide to Harnessing the Power of Your Words to Change Your Mind, Your Choices, and Your Life. Mary is recognized as a leader of innovative thought and she has spent over a decade teaching businesses and individuals how to identify their goals, create new ways of thinking, and take action to create meaningful results. Mary travels across the nation giving lectures and teaching courses and has been featured on local and national radio and television shows, podcasts, and blogs. I’m honored to have her here today. I attribute so much of my peace of mind and happiness to being deliberate and intentional in all areas of my life. Mary’s teachings on conscious communication are really beautiful. Communication is such a profoundly important area of our lives where we must be conscious and intentional. In this podcast, we talk about the power of intention, visioning the outcome you want, the power of momentum, reprograming our minds, and how Mary was able to transform her business from something people usually face with dread, to being full of life-giving energy and communication. Mary is a wealth of knowledge and I’m excited for you to hear our talk. Mary teaches people conscious communication, and she’s taken that practice into her collection agency to transform the way her staff communicates with their clientele. Not only is it an entirely different experience for those with the debt, it’s also completely transformational for the staff. They have to be disciplined enough to remove negative words and responses from their conversations and get creative enough to come up with new, positive ways to communicate. In one case study, a teacher utilized her communication techniques and moved her class from 8% passing to 96% passing within a year. Amazing! When entertaining the prospect of doing a book with Hay House, she realized that the techniques she uses for business are just as applicable to someone’s spiritual journey. All of this is really all about manifesting the life we want. Visualization plays such an important role in helping us manifest our future. We need to be clear about the outcome we want in terms of the feelings we want to have. But we don’t need to attach ourselves to an exact outcome in terms of exactly what will happen. There is a subtle but profound difference. We discussed the concept posited by Richard Rohr, that “everything belongs”. Authenticity is so important. It’s about being who we really are and not just succumbing to what other people think you are or should be. What if we just made authenticity the outcome we’re looking for? Why aren’t we backyard BBQ people? Because it’s not who we are, and it’s ok to want to sit around and ponder the meaning of life. We don’t have to conform and be like others.